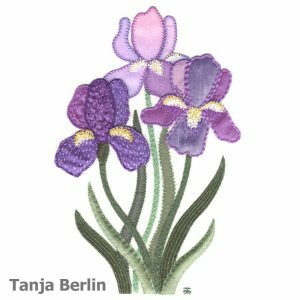 You can purchase the Iris Applique pattern as a hard copy that will be mailed to you or PDF file that you can download. 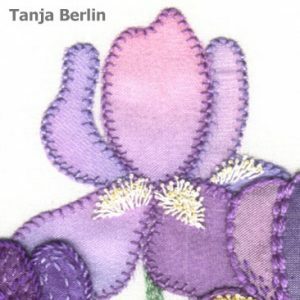 I no longer sell a kit for the Iris Applique due to the man hours it takes to put a kit together. The instructions have step-by-step diagrams for the different methods of sewing down the fabrics and for the surface embroidery stitches to embellish the design.